Being a work at home mom myself, I know how difficult it can be to find the right balance between your home and the business side of your life, especially since the main reason for choosing to work from home is to be able to spend more time with your family. I found myself asking the question ‘how do I manage to juggle my families needs, my business needs and occasionally find time for myself, without being ‘Super Mom’. I know I’m not alone in the ‘beating myself up mentality’ of a work at home mom, or in fact, the mom that works out of the home. I think this is a general feeling of all mothers! We mothers put undue pressure on ourselves to be the ‘Super Mom’ and add so much un-needed stress in our lives. I came to the conclusion that I was going to retrain my thoughts! And you can too!!! Well, I’m here to tell you that it is possible to be a work at home mom. You can write out a plan; what you need and expect from your family so everyone knows what is expected of them. Delegate chores according to the age/ages of your child/children and stress to your spouse/partner how important this is to you. And of course, how much money you could bring into the house! You also need to write out a schedule and make sure you have certain blocks of time where you will not be interrupted. Now if you have young children and your husband leaves the home for work it may be hard to find extended blocks of time to devote to your home business. You may have to get up earlier in the morning and get in an hour or two of work while the rest of your family is sleeping. Then maybe you can grab some time if your child/children takes naps, as well as at night after they have gone to bed. Of course it’s much easier with older children because they will either be in school or even if you homeschool, they’re old enough to help out and take care of themselves somewhat so you can take time out for your work. Being a WAHM mom isn’t easy, but you can make it work for you. Okay, now you have everything running smoothly, right? Only if you make sure your families needs are met. You want to schedule in blocks of time for your children as well as your spouse. It is vital that no one feels neglected! And if your working 12+ hours a day, no one is going to be happy! Lastly, you have to take time out for yourself. You know the saying, ‘If momma ain’t happy, no one’s happy?’, well this is true! If you aren’t happy, you can’t give your best to your family, your work and so on. Take time out, even if it’s just 10 minutes to meditate or doing some yoga, both are proven stress relievers. Try to find a little time to move. It can be a walk or going to the gym, it really doesn’t matter as long as you take time to move. Especially if your work involves a lot of sitting at a computer. Take a relaxing bubble bath and no one is allowed to disturb you for 15 minutes or so. Just take the time for YOU! Next time I’ll talk about my work and tell you about some of the work at home jobs that are available to you. Until next time…Take Care & Enjoy life! 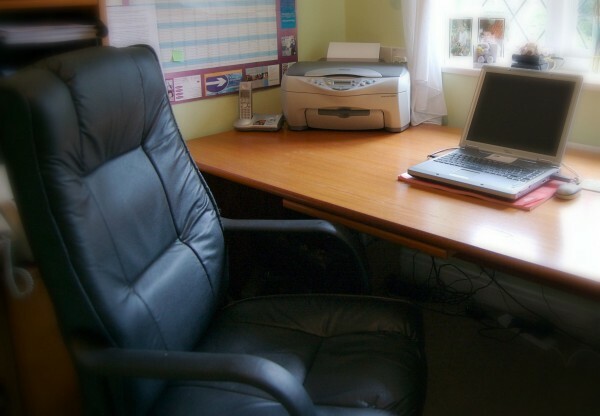 Are you a work at home mom or want to be?